“…We met Charlotte from Moutan Florist at a wedding fair at our venue. We clicked with her instantly and we were confident she knew exactly what we were after. Moutan have two shops which happen to be in the same villages as both our church and our venue, it was clearly meant to be! Most of our meetings with Charlotte felt more like having coffee with a friend. She was super efficient, so lovely and great at getting back to emails quickly which kept us at ease and made the whole process a pleasure. 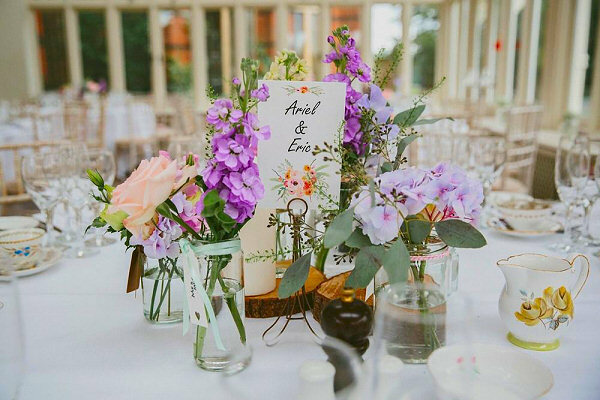 Our flowers incorporated a summery, country mix including pink O’Hara, Peony Roses, white Astilbe, lilac Hydrangeas, cream Lisianthus, Gypsophila, lilac and mid-pink Sweet Peas, cream and lilac Stocks, herbs and Eucalyptus. Charlotte was fantastic at offering suggestions to cut down costs and alternatives thereafter.